Panoramic ocean & island views abound from this ocean view property. Located in beautiful Nanoose Bay on a quiet cul-de-sac in prestigious Oak Point Estates. This 6.38 acre lot is ready for your dream home. Enjoy an active lifestyle of kayaking at the end of your own street from a walk-on waterfront park. Enjoy golfing at several nearby courses or launching your boat from two close local marinas. 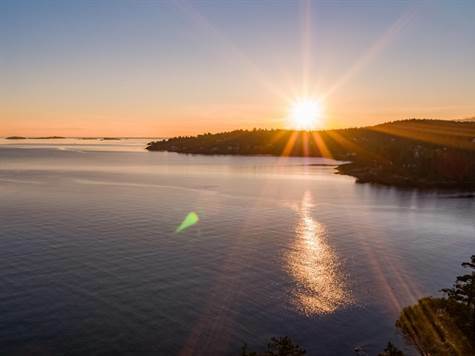 Nanoose Bay is a prestigious waterfront enclave and a popular tourist and retirement golf community known for its mild weather and seaside charm. This property is zoned for 2 homes, but no further sub-dividing. Located approximately 30 minutes from Nanaimo ferry/plane terminals, 20 minutes from Woodgrove Mall, 10 minutes to Parksville and 5 minutes from Nanoose Shopping Centre. Contact listing realtor for plot plans and zoning information.